In a world flooded with food safety schemes, standards and training programs, most people seeking training have a tough time choosing courses to suit their learning needs. It’s an important issue and everyone’s time is valuable. That puts the onus on training providers, and companies selecting training, to ensure that the trainer, as well as the methods and materials used for each food safety training course, can effectively generate real understanding of the material among trainees. 1. Identify how different people learn. Training can be delivered through written procedures, slide presentations, tool kits, the creation of scenarios, visual examples provided by photographs or videos, or direct observation through the buddy system. For example, if a trainee does not speak or read the primary training language fluently, visual examples or buddy system training using tool kits, combined with video recording for easy reproduction, is far more effective than training through documented procedures that may be difficult to read or understand. 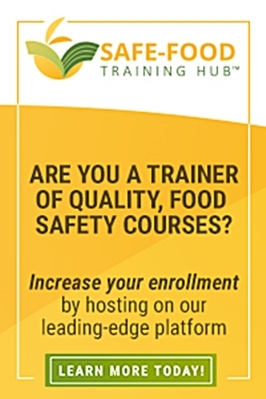 Instead of “one size fits all” training courses, training providers should work with the food safety and technical personnel to design modular training that covers overarching concepts. They can then introduce shift-based training sessions that illustrate specific tasks, using examples, for non-technical personnel. Companies establishing internal training programs should identify and document a needs matrix to facilitate effective, traceable training session design. 2. Design training material that enhances understanding. Text-heavy, predictable, drab training manuals and presentation slides lead to trainee boredom. Manuals are rarely used or referenced after the training session itself, rendering them nearly useless as sustainable training tools. By contrast, visually colourful text presented concisely in varying formats encourages greater focus. Real-life scenario workshops help trainees better understand concepts through discussion. Convenient toolkits encourage sustainability and consistency in implementing and documenting key tasks. 3. Select only well-prepared, skilled trainers. Trainers are often qualified technically but lack the soft communication skills and ability to read the audience that would let them tailor their training accordingly. Training providers should select trainers by personality as well as technical background, then give them intensive soft skills training. This will limit the number of trainers capable of delivering each course, but the training will be better-received and achieve learning outcomes more effectively. These are radical ideas in today’s food safety training world. But it’s important to rock the training boat – you’ll be glad you did and both consumer safety and your brand reputation will benefit. 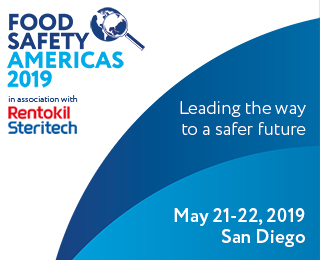 Victor Muliyil, Food Technical Program Manager, SGS North America, is a lead trainer and audit manager for several human and animal food safety training and audit programs, including FSSC 22000, PRP/HACCP and second party Supplier Qualification Audits. He is the creator of the risk-focused, resource-efficient Food Safety Program Optimization initiative. Victor holds degrees in biochemistry and microbiology, and he has over 30 years’ experience in food safety training, implementation and auditing.